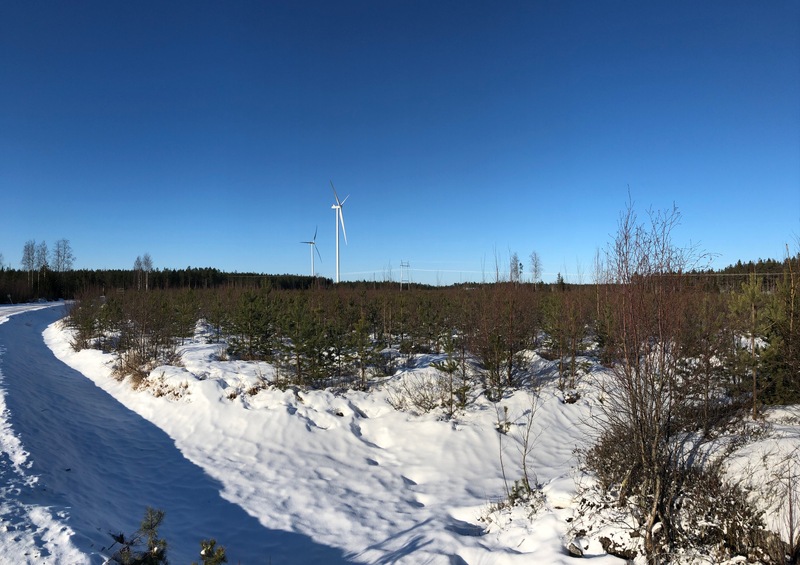 CPC Finland has been awarded a contract for the Lakiakangas 3 windfarm located in Isojoki and Kristinestad communities in the Southern Ostrobothnia region. The Lakiakangas 3 project was chosen among successful bids in Finland’s first technology neutral renewable energy tender. The project consists of 23 wind turbines with up to 120 MW of capacity. The construction is due to begin in 2020 with commissioning planned for early 2021. Once the Lakiakangas 3 project is completed, the total generation capacity of CPC Finland’s wind farms is expected to exceed 170 MW. Renewable energy generation was opened for competition in Finland in the fall of 2018. The tender for an annual production up to 1.4 TWh was organized by the Finnish Energy Authority with the goal of being the world’s most technology-neutral call for tenders that would grant production subsidies only to the most cost-effective and competitive investments. With 26 bids received with more than 4 TWh of annual generation, the tender was more than three times oversubscribed. “We are extremely proud of our success in the highly contested competition. We look forward to increasing our operational portfolio in Finland. In a market with limited corporate power purchase agreement (PPA) volume, I see competitive bidding as the fastest and most effective way for Finland to increase clean power generation from renewable sources with limited – if any – cost to the Finnish tax payer,” says Erik Trast, Managing Director of CPC Finland. CPC Finland is a fully owned subsidiary of the German based CPC Germania GmbH & Co. KG. CPC Germania is one of the oldest wind power companies in Europe. Since 1993 CPC has built over 50 wind power projects, with the total capacity of more than 600 MW. CPC has operated in Finland since 2011.